Charles McAtee’s phone rang about 2 p.m. It was April 13, 1965, and Truman Capote was calling to say he wouldn’t be visiting condemned killers Richard Eugene Hickock and Perry Edward Smith on the eve of their executions. Charles McAtee was director of the Kansas state penal institutions when Perry Smith and Richard Hickock were hanged in 1965. He had a close relationship with the men, trading letters with them. Capote had spent the past four years documenting the brutal murders of a rural Kansas family and the lives of the killers for what would become the book “In Cold Blood.” He said the emotional buildup to the execution would be too much to bear. The next 10 hours would change McAtee’s life. He would spend every minute with the killers, getting arare glimpse into their personalities in their most vulnerable moments — scenes that never made it into Capote’s book. For the past 40 years, McAtee’s public identity has been defined by that moment in time. Rather than just lawyer Charles McAtee, he became the man who “oversaw the hangings of the Clutter family killers.” But unlike many affiliated with the case who refuse to relive the past, McAtee, now 76, accepts that the case changed his life and made him a living link to history, an experience he feels obligated to share. 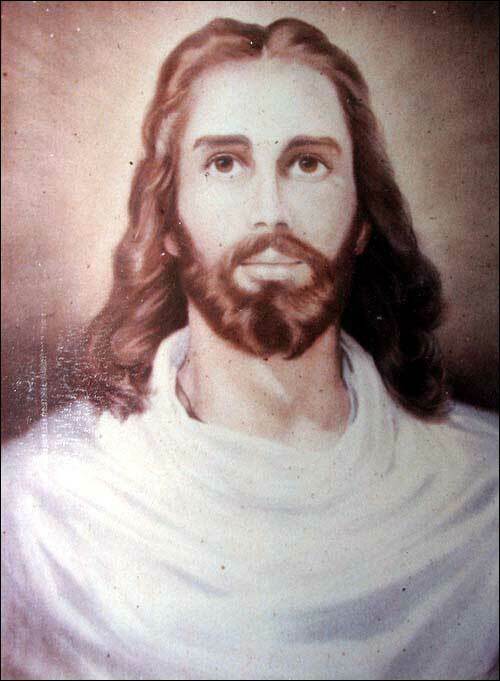 Charles McAtee has a photo of a painting of Jesus that Smith made while in the Kansas state penitentiary at Lansing. The prison chaplain, James Post, had the original painting of Jesus. McAtee pulls out a white storage box inside his home near Topeka. Among the items are telegrams Capote sent while he was writing the book and postcards the author later sent from his winter home in Switzerland. He also has photos of sea scenes Smith painted from Death Row on bed sheets with water colors and gave to prison chaplain James Post. Each time he opens the box, memories flood back, memories not of characters in Capote’s book, but of real people he came to know and experiences he had in the first half of the 1960s. McAtee’s position as a pardon and parole attorney and special assistant to the governor, and later director of penal institutions, allowed him to receive and send uncensored letters to the killers on Death Row. From the spring of 1961 until their execution in April 1965, Hickock and Smith frequently wrote to him because he was one of the few people who saw their uncensored letters. Letters the killers wrote to the governor crossed McAtee’s desk. 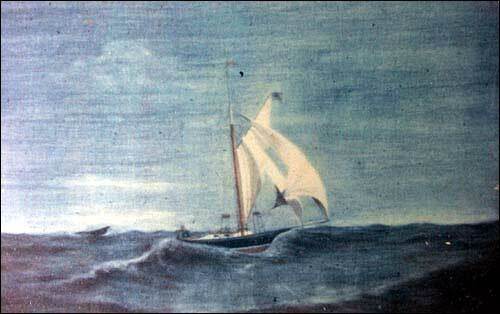 Charles McAtee has photos a painting of a sea scene that Smith made while in the Kansas state penitentiary at Lansing. Once he became director of penal institutions in early 1965, the letters went directly to McAtee. The killers wrote together at first but then started sending individual letters. Hickock often denied that he’d killed the Clutters. Sometimes they just wrote to complain about the food. 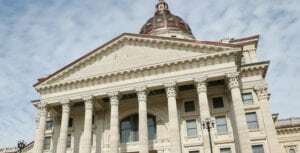 McAtee said many of the letters are stored at the Kansas Historical Society in Topeka. One of the more memorable ones came just weeks before the executions. The killers wrote to McAtee asking for radios in their cells. Although prison officials initially refused the request, McAtee OK’d transistor radios and headphones to help break the tension and isolation on Death Row. McAtee was a casual acquaintance of one of Hickock’s childhood friends, a common point of discussion when he saw Hickock on Death Row. This year marks the 40th anniversary of the publication of Truman Capote’s “In Cold Blood,” considered one of the 20th century’s great works of literature. It also was among the first books in which the reporting techniques of journalism were assembled with the flair of traditional fiction writing.The book is set in the community of Holcomb in 1959, when four members of a prominent farming family were killed in a fruitless robbery. Herbert and Bonnie Clutter and their children Nancy, 16, and Kenyon, 15, were shot by Perry Smith and Richard Hickock. The book details the crime, the lives of the two paroled criminals and law enforcement’s search and eventual capture of the men.A class of seven reporting students, a photography student and four documentary film students at the University of Nebraska-Lincoln spent the fall studying Capote’s work and its impact on literature and journalism, the community where the story unfolded and some of its principal characters.The students obtained exclusive interviews from people who had refused to talk publicly about the crime or the book, including Nancy Clutter’s boyfriend, Bobby Rupp, who was the last to see the family alive and was initially questioned about the murders; Walter Hickock, Richard Hickock’s younger brother, who describes for the first time the agony the family endured after the crime and publication of Capote’s book; and the family that lives in the former Clutter home as well as exclusive photographs from inside the house.Because the nationally renowned book is set in Kansas, it seemed natural to publish the students’ work in a Kansas newspaper. The results are part of a four-day series that begins today in the Journal-World.Wednesday:¢ The family that livesin the former Clutter home is witness to the book’s enormous impact still today.¢ Holcomb has changed much from the time Capote wrote his book.¢ The death penalty has divided Kansas many times.¢ See the documentary “In Cold Blood: A Legacy” at 11:30 p.m. on Sunflower Broadband Channel 6. His memories of the afternoon before the executions include Hickock’s visitors and what both killers talked about. The two men had very different demeanors in those final hours. Hickock was more jovial and talkative, telling stories about his childhood; Smith thought deeply about the meaning of life. Hickock told of a 1949 Packard he and some friends covered with purple house paint. When they hit 60 mph on the highway, the paint started to peel off the car. McAtee saw Hickock say goodbye to his ex-wife, who had come to pay her respects and apologize for a sharply worded letter she’d sent weeks before. Hickock told her to tell his children goodbye. After she left, McAtee said, Hickock was aware of the pain his crimes had caused. “He said, ‘Mr. McAtee, I should’ve had my neck broke long ago, before we pulled that caper out in Kansas for what I did to that woman and my kids,'” McAtee recalled Hickock as saying. While Hickock was busy telling stories, Smith pondered life and death. He quoted several passages from Henry David Thoreau’s “On Man and Nature” and showed signs of remorse that some said had never come from the convicted killer. “Perry did say, ‘Mr. McAtee, I would like to apologize to someone, but to whom? To them? To the relatives? To their friends and neighbors? To you? To the state of Kansas? 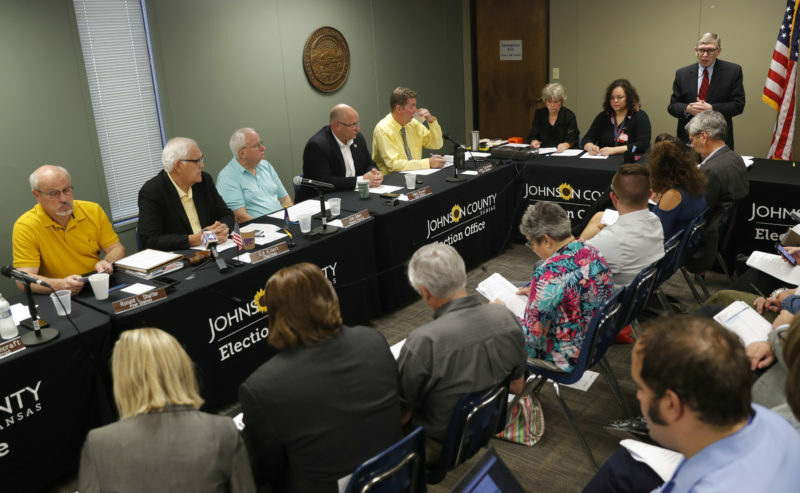 But you know you can’t undo what we did with an apology,'” McAtee recalled Smith saying. McAtee’s recollection of Smith — as the more intelligent, sensitive killer — mirrors Capote’s descriptions of him in the book. Capote saw Hickock, though, as crude and uneducated, while McAtee said he developed a different view of Hickock because of their common acquaintance, Don Simons. 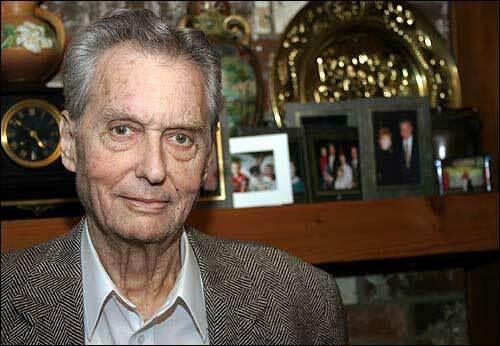 “I gained a better insight into Hickock than Capote did,” McAtee said. That Capote and McAtee held somewhat similar views of the killers should come as no surprise. They corresponded frequently while the case threaded its way through the courts. McAtee first met Capote in 1961 as the author was trying to gain visitation and unfettered letter-writing privileges with Hickock and Smith — rights usually reserved for family members and significant others, rights Capote eventually gained. Although many have disputed the truth of some of Capote’s book, McAtee said he thought Capote’s version of the Clutter case closely mirrored the actual events. His insight made McAtee a popular public speaker about the book and case. Because he didn’t know the family, he said, it’s easier for him to talk about the case. 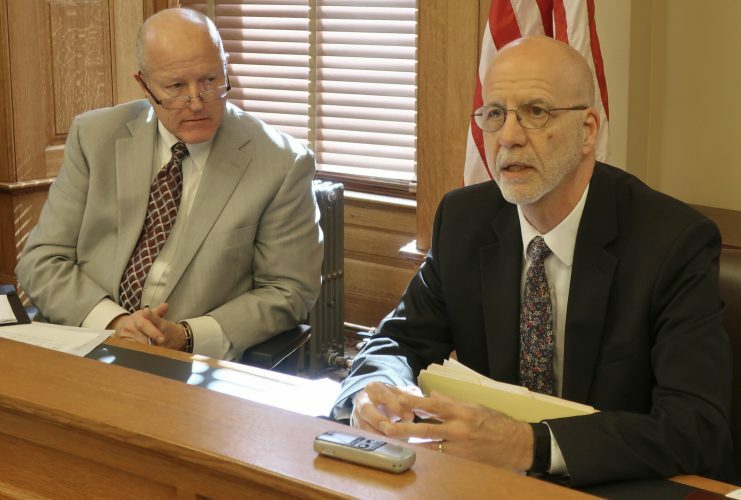 After McAtee left his job with the Kansas Penal System in 1969, he became a successful attorney and in some ways is better known in Kansas for his work in the courtroom than the murder case. For years he was associated with one of Kansas’ oldest and most respected law firms, Eidson, Lewis, Porter & Haynes. 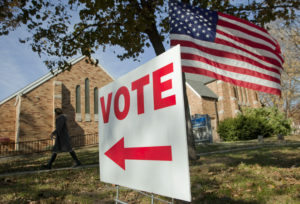 In 2002, he ran an unsuccessful grassroots campaign for Kansas attorney general while also continuing to practice law. “In Cold Blood: A Legacy,” the story of people hoping for decades that the world will forget, airs at 11:30 p.m. Wednesday on Sunflower Broadband Channel 6. McAtee was diagnosed with leukemia almost two years ago, and the disease and treatments have taken their toll. He has lost 62 pounds and undergone more than 40 blood transfusions. “I’m still trying to practice law, though I don’t make it to the office often,” he said. Although McAtee developed a rapport with the killers, he hasn’t softened his stance on the death penalty. He said he still supports capital punishment, though not in its current form. He said capital punishment isn’t a deterrent to capital crimes and that standardizing the requirements for capital punishment would be a good first step to fixing the problem. 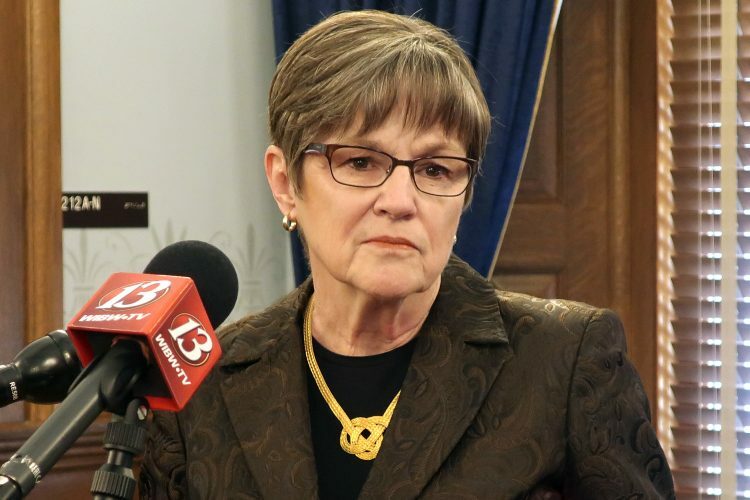 “They’re standing around the penitentiary with their candlelight vigil, mourning the poor soul of the inmate, but they’ve forgotten the victim,” McAtee said of death penalty opponents. As he sits on a brown vinyl couch in his basement, he plays a DVD of a Feb. 26, 2003, speech he presented to the Downtown Topeka Rotary Club. One of Smith’s five original copies is scrawled on a frail paper wrapped in a plastic cover and stored in the white box with the newspaper clippings and memories. The poem doesn’t read like the prose of a man convicted of brutally murdering a family of four. Its lines are filled with the introspection of a man coming to terms with his imminent death — each alternating rhyme written in perfect script on the yellowing page. Discarded of pride by force. To keep my human ties.